This poster by 300million has been nominated in the Best Poster Award category of the Design Week Awards. 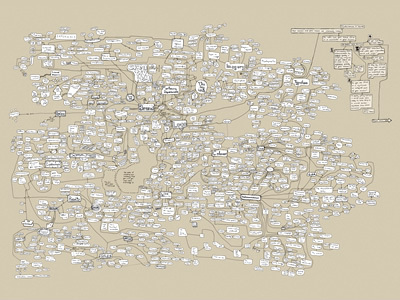 It illustrates the intricate, interwoven relationship between businesses and their brands; a.k.a. 'The 300million brand/business poster'; a.k.a. 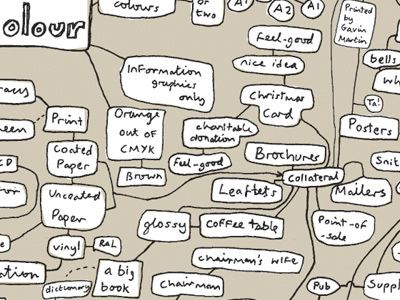 'The inner mind of a brand geek'. It is a self-promotional poster that was sent out to prospective and existing clients. The idea was to avoid marketing cliche and instead focus on the creative process. A visual stream of consciousness provided the solution. Click here (4.5 MB) for a smaller version of the poster.